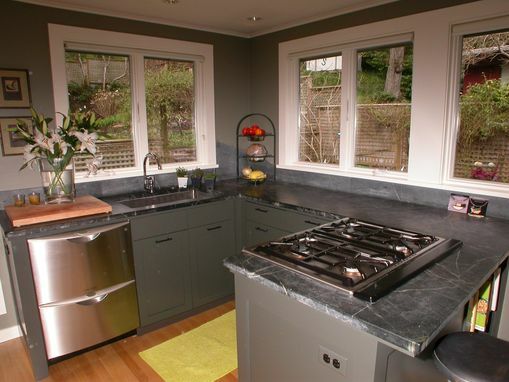 Rather than having traditional upper cabinets in this kitchen, we installed corner windows designed to bring the outside garden in. 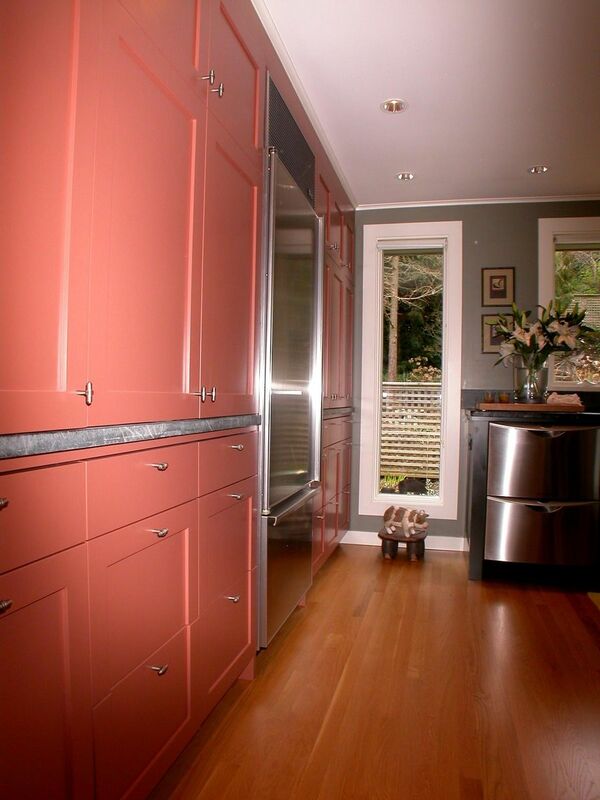 The base cabinetry on the west side under the windows were painted green and are capped by the natural soapstone countertop. 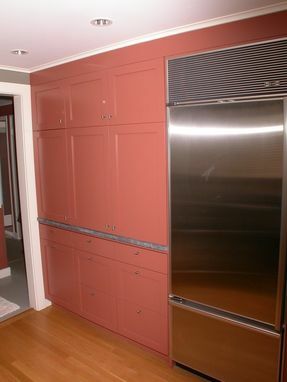 For visual interest, the cabinets on the opposite wall were painted a complimentary "maasai brick" color. Even when entering the kitchen from the living room, the viewer is immediately drawn into the outside through a full-height window. 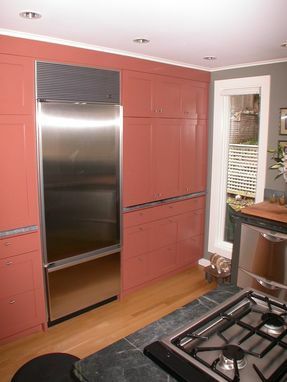 Situated next to this window are full-height, full-depth cabinetry that house both the built-in refrigerator and microwave (perched behind closed pocket doors). 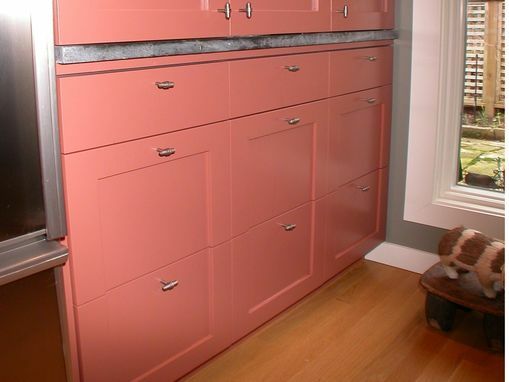 The deep bottom drawers were built with matching door faces split in half to eliminate the traditional mid rail.